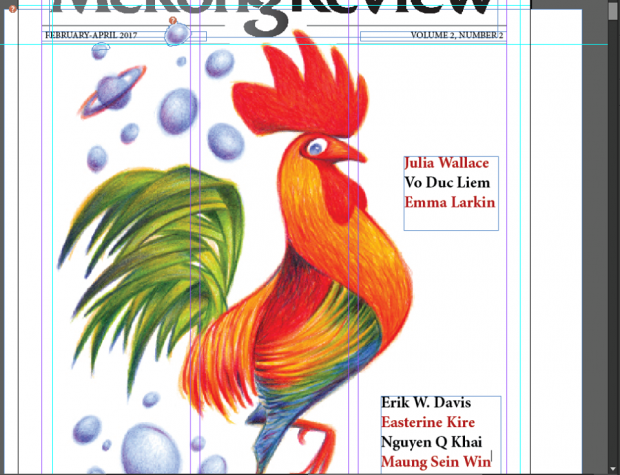 Mekong Review is a print and digital magazine of literature, culture and politics of mainland Southeast Asia. It covers countries in the Mekong subregion: Myanmar, Thailand, Laos, Cambodia and Vietnam. 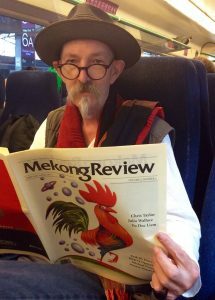 Mekong Review was launched at the Kampot Writers and Readers Festival in Cambodia in November 2015. It was received with such enthusiasm that we have been able to continue and develop into a quarterly publication with distribution to major cities in mainland Southeast Asia and Australia. Our ambition was to publish a magazine that writers would like to read and readers would like to write for. This continues to be our goal. Mekong Review is an independent publication with no political, institutional or commercial affiliations. It exists solely on the proceeds of sales, subscriptions and donations from loyal and interested readers. Most of the content is available to subscribers only, although some selective content is available to read free online. Sopheap Rises: an article by Reaksmey Yean on the contemporary Cambodian artist Pich Sopheap, recently invited to participate in the 2017 Venice Biennale. The Writers' Writer: an article by Khai Q Nguyen on the Vietnamese author Nguyen Binh Phuong. Images of War: review of a new graphic novel Such a Lovely Little War on the Vietnam War. Poetry from around the Mekong region.